Discover the program that is changing the lives of people impacted by dementia. Read on to find out how Spark of Life delivers the gift of communication to sufferers and families. The progress of dementia can be devastating, as sufferers retreat more and more into their own private world as memories are lost. Communication between dementia sufferers and family members continues to deteriorate as the condition worsens, but a program called Spark of Life seeks to reverse that – with great success. Developed by Perth occupational therapist Hilary Lee, Spark of Life is an innovative program that seeks to give peace and hope to families who are dealing with the devastating consequences of dementia. Targeted towards institutions such as residential aged care facilities and adult day centres, Spark of Life provides the beginning of a positive person-centered cultural change that respects the dignity of people who are living with dementia. Spark of Life is a gentle, practical approach to human relationships and provides a safe space to dementia sufferers in order to help boost their self-confidence and enhance their ability to communicate. These programs are specially designed to release the special person – the spark – inside those residents who are suffering with dementia, especially those people who are in the later stages of the disease. 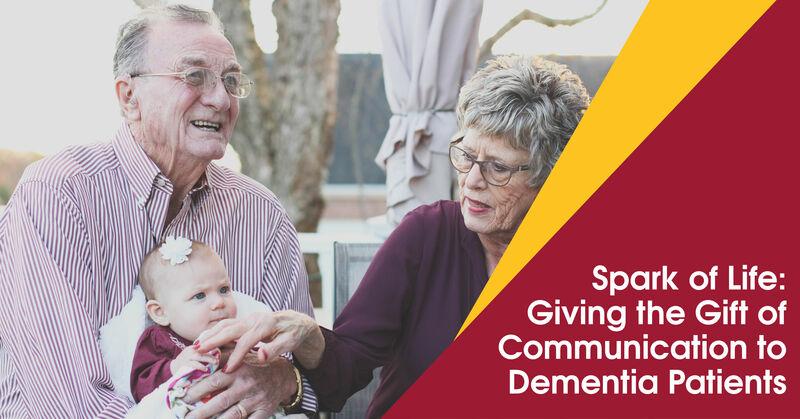 The program also aims to facilitate changes the culture of institutional care that focuses on offering practical skills that can enrich the lives of people with dementia, their families and carers. The focus shifts to bringing out dormant abilities like how to connect, how to communicate and how to care, mitigating the expression of challenging behaviors and restoring a zest for life that sometimes gets lost as the disease progresses. Proof that the program works, Hilary Lee cites the success of a participant called Ces, a dementia patient who had not spoken for 12 months. After just one session of Spark of Life he began to talk again, to the complete astonishment of the program facilitators. Ces continued to participate – with sustained improvement - until he passed away three and a half years later. Many others have benefited from the program. What makes Spark of Life so successful is that the facilitators are able to make emotional connections with the participants, encouraging them to mobilise dormant language in order to communicate. It’s a gift that this program continues to deliver to patients and family members who are living with dementia.